A little clay pot holding a single coal burns some homemade incense, wafting a rich scent of frankincense and myrrh into the dry air. I feel a sense of clearness as I take a deep breath in, feeling the herbs penetrate my lungs and pierce deep into my spirit. A sense of calm washes over me and I muse over these plants and how they’ve been with us for so many thousands of years. Ancient traditions and cultures from around the Earth have burned aromatic plants for far longer that we can fully comprehend. Aromatic herbs (like Sandalwood, Frankincense and Myrrh) have been associated with religious spiritual disciplines and practices for centuries, used to help clear unwanted energy and stimulate a mindful connection to the divine. But something that we can sometimes forget, is that these ancient cultures weren’t just using these plants as incenses for their spiritual practices – they were also using them as an application for some very potent therapeutic uses. They knew that plants had hygienic functions, and used them for an array of health conditions but also to reduce contagion by purifying the indoor air of their homes and temples. Aromatic woods like pine, sandalwood, camphor, and cinnamon were used in ancient Hindu traditions, Buddhism, Taoism, and other Eastern religions. In ancient Greece and Egypt, references of frankincense, myrrh, cedar, cinnamon, cloves, balsam, aloes, pine, myrtle, juniper berry, and calamus… the list goes on – are all found in their religious and secular writings. Without these plants – these cultures wouldn’t have thrived the way that they did. These plants gave life to the people; providing food, clothing, and medicine; protecting them in many diverse ways. These plants helped the people stay strong by supporting healthy sleep patterns and calming their nervous systems. They held depression at bay and reduced tension and stress by clearing restlessness from the mind. They even stimulated appetite in times of sickness and fought airborne diseases – all through the power of burning these therapeutic herbs. As the centuries passed, we find ourselves still using and harnessing the same virtues and gifts that these plants once offered our ancestors. Something important to take home from this is to remember why these plants have been around for so long. There’s a reason why we’ve been using the same plants over and over and over for so many centuries – that’s because they work. Today I’d like to take a closer look at few of these herbs that the ancients used, and hope to shed some light into your own health and wellness by providing some ideas of how you can be utilizing them for yourself and loved ones – especially during this busy holiday season when colds and flus seem to linger in the air. 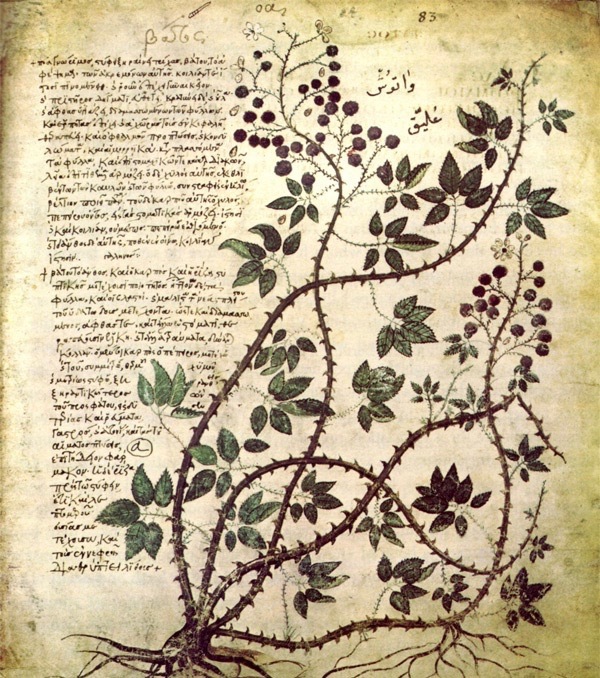 The first two famous remedies I’d like to mention are Frankincense (Boswellia serrata) and Myrrh (Commiphora myrrha); these were two plants which were held in the highest regard, some say higher than gold, and were traded in the Middle East and North Africa for upwards of 5,000 years. Boatloads of these two resins were brought in from the Phoenicians to Egypt where they were used for many applications; in salves for wounds, as perfumes and incenses, as insect repellants and even as part of the embalming process for preparation of mummification. Frankincense was also used as a powered char to make eyeliner that the Egyptian woman wore. Myrrh oil was also used by woman as a rejuvenating facial treatment. 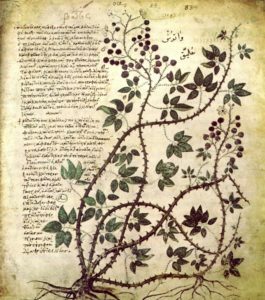 The Greek physician Hippocrates writes about Myrrh more so than any other plant in his writings and used it for its antiseptic, anti-inflammatory and analgesic properties, prescribing it for everything from indigestion and chronic coughs to hemorrhoids and halitosis (bad breath). Both of these ancient remedies were and still are used for many health conditions today and I believe using these plants through the simple act of burning is a wonderful way to implement them. So how can we integrate some of these amazing plants today? How about the same way. Frankincense’s aroma smells fresh, fruity, citrusy with delicate sweet, resinous, and woody undertones. Myrrh is more rich and earthy, bitter, balsamic, slightly sweet and spicy. Frankincense is really wonderful as an external inhalant to relieve excess mucus in the lungs (expectorant) and its vapor reduces airborne microbes, both fungal and bacterial. This can be really useful for when the kids are back in school and are bringing all kinds of sniffles and sneezes back into the home – burning this will help fight these little microbes off making it easier for everyones immune system to fight the rest off. Myrrh’s aroma clears the mind and fosters tranquility – and this plant is really helpful for those who have a harder time sleeping, as it promotes relaxation and calms down the nervous system. It’s also an excellent expectorant and as such is beneficial in the treatment of bronchitis and colds and the presence of its antispasmodic action will help calm a cough and mild asthmas. Its aromatics also make it very anti-septic and its gum can be chewed for ulcerations of the mouth and gingivitis. Myrrh is warming and stimulating, so good for moving circulation and stagnation, making it also useful for inflammation. Topically its great for wounds, boils, pressure sores and fungal infections like athletes foot. We can see why these two resins were so highly valued so long ago. Now if your like me – you may enjoy having a personal connection with the allies which grow around closer in proximity and would appreciate a more interactive experience. 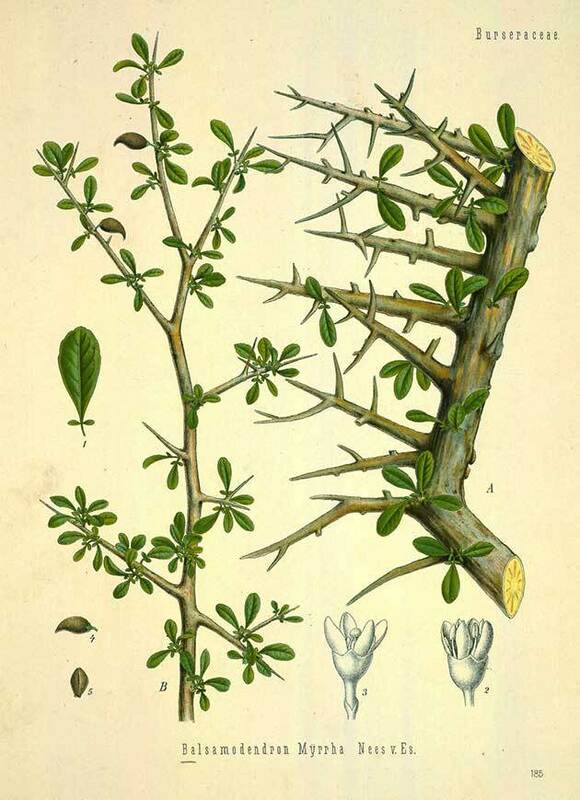 For this purpose, these three aromatic plants that Im about to talk about are a bit closer to home and have also been valued for their properties through out the ages. Pine (Pinus abies) A coniferous evergreen tree that has been with us for over 200 million years – found in North and Central America, North Africa, and South East Asia, Pines have been revered for their strength and strong healing qualities for centuries. As our grandmother of herbal medicine – Hildegard von Bingen, says “The Pine tree is more warm than cold and contains many energies and powers. The tree is the symbol of strength.” The Celtic and German ancestors used Pines as a protector from negative energy and burned it in sick rooms to strengthen those in healing. Pine strengthens the nerves and gives energy, courage and and builds the vital force. Today we use Pine for respiratory conditions like bronchitis, coughs, asthma, rheumatisms and urinary tract infections. Pine needles are alive and fragrant with lemony balsamic, sweet, and slightly woody notes. Picking the needles and drying them next to the fire (or heater) will emit a warm aroma throughout the home and using them for tea will boost the system with vitamin C and antioxidants. The needles can be harvested year round and used in teas or infused into oils for cooking meats, poultry or dressings – a really nice way to get these plants into your system! The time of year is perfect to step outside and look for these evergreen trees now – as they are easy to identify. And when your in the forest, you might be lucky to find one with a bit of resin pouring from the bark. 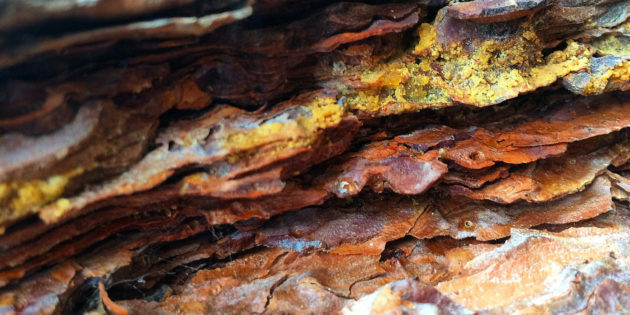 An important point to understand however when harvesting resin from any tree is that the resin is actually its own innate defense mechanism to protect itself from invading insects, pathogens and funguses that will put the trees life at risk. So do not harvest it straight off its wound (where its oozing from) as this is a wound that the tree is trying to protect – follow the trials and drips of pitch down the tree to the ground and use what has dripped or pooled there. That way the tree won’t be susceptible to other pathogenic organisms. The resin from Pine can be used for incense in your home – using a charcoal puck and adding a little of this resin will emit a lovely aromatic fresh scent – a nice one to use if you find more traditional incenses too intense – but will still foster similar antimicrobial therapeutics to cleanse the air. This pitch can also be made into a topical antimicrobial salve for wounds and sores which will also help keep infections at bay. Another great trick for those of you that live with wood stoves, is to collect the big cones with white tips ( with are sticky with pitch) and dry them by the fire. Once dry, they work as a great fire starters! I was just out in the forest the other day collecting these pitch filled cones which I’ll be using soon! Another tree that I want to briefly mention here is Cedar (Thuja plicata) which lives all over the northern hemisphere and is another ancient tree that carries much wisdom from the ages over. People from all over the world have used all part of the tree for many different things… and I could actually spend days writing about it, but for our purposes here I’m just mentioning the leaves. The scent of cedar is woody with hints of pine, citrus, and slightly sweet which has been used by many cultures as a sacred smoke and purifier. Cedar is also a great anti microbial and fungal used to ward off insects, molds, fungi, bacteria and viruses. 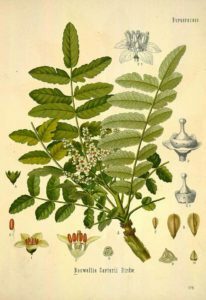 It does have a toxic compound call Thujone – so over indulgence in aromatherapy is not recommended – but using whole plant forms like the boughs or needles to decorate your home or burn to purify the air is a nice way to use this tree. It can also be used in soaks for topical infections like athletes foot. Making a strong tea made from the leaves – and soaking the infected area in warm water whilst reading a book (regularly) will help to reduce the infection (and maybe some stress ;). Cedar also stimulates the immune system and improves blood flow, so more oxygen is brought into the bloodstream. Lastly, we have Rosemary (Rosmarinus officinalis L) which is another love of my life. Used as a symbol of remembrance, this plant comes from the coastal areas of the Mediterranean and its name implies its origin; Rosmarinus; derived from the Latin ros, meaning dew, and marinus, meaning sea, referring to its habit near the coast. The ancients burned Rosemary traditionally with Juniper berries for ceremonial purposes but also valued it because it was more available to those who couldn’t afford the richer resins. All the ancient doctors; Theophrastus and Dioscorides, Hippocrates and Galen all used Rosemary for various ailments and today we can still use this powerful remedy for various conditions. Rosemary helps with stomach and liver problems as well as spleen disorders and as a restorative herb that relaxes spasms, relieves pain, increases perspiration, and improves digestion and circulation. The smell of Rosemary is strong and fresh, with woody, balsamic tones with a hint of mint – very characteristic. It also has been used for centuries to cleanse homes and fumigate horse stalls by the Egyptians, Hebrews, Greeks, and Romans. Its been used for respiratory conditions from coughs to bronchitis – but Rosemary’s really special indication (and why I love this plant!) is that’s its really wonderful for mental clarity and memory. 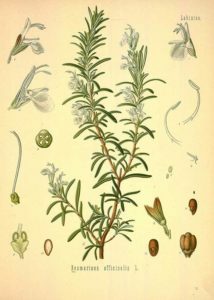 It is said that the Greek scholars would wear garlands of Rosemary during their exams to improve their memory and concentration. Having rosemary around us really clears out the fog and draws focus in and concentration – and really helps to enhance memory. Thinking about Rosemary also reminds us as that we don’t just use aromatic herbs as medicine, but we use them every day as a means to bring flavor to our food and warm the home. The more we bring these aromatic plants into our cooking, the more we protect ourselves from the inside out. Many herbs that I mentioned above references aromatic culinary herbs – so even if your a bit shy to use herbs in your cooking – perhaps finding a few new herb blends to add to your cooking will freshen your taste but also build you and your families immune systems up to help keep that common cold away! All these plants I’ve talked about today are all very unique unto themselves and all have subtle differences in the impressions that they leave on us. Using aromatic plants doesn’t always have to be this big spiritual experience either – it can be as simple as using more herbs in your cooking or burning a little resin from the walk you took on the weekend. Its wonderful how a simple act like this can really help push our nervous systems back into a parasympathetic state after a long day, all the while disinfecting the home! So I encourage you to step outside, get out into the forest and see what you can find, maybe try burning a few aromatic plants so you can foster a healthy environment in the same way that the ancient folks did so long ago… and let me know what you find ~ I would love to hear about your favorite aromatic plants too!